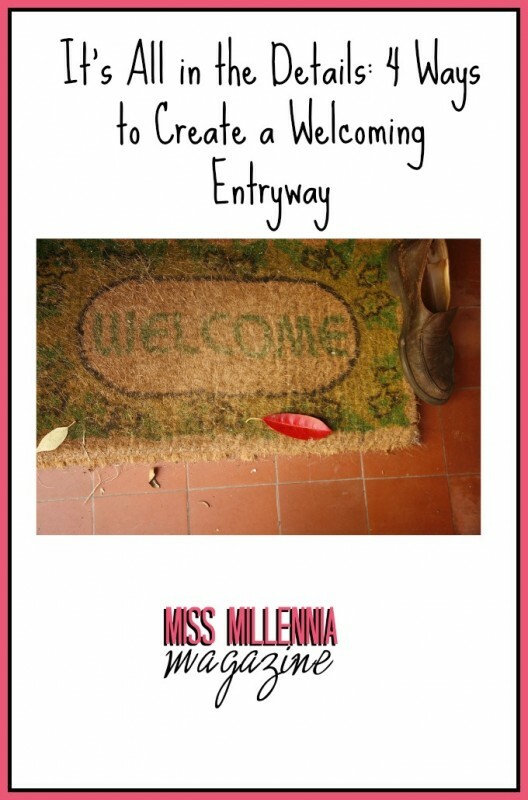 Your front door is the first thing guests encounter when they visit your home. While functionality and security are the most important features of doors, your entry door should also be inviting. It should reflect your personality and style, and be the perfect accent to your home. Accentuating focal points in your exterior, such as your entry door, can make a whole lot of difference. Architectural details like pediments, pilasters, and mantels can create a whole new look for your home by adding character and style to your entry door. Here are a few things you can do to turn your door from an ordinary door into a grand entrance into your lovely home. 1. A Pop of Color Use a door surround system to create unique entry door. Install a decorative pediment at the top of your door and flank either side of the door with a pilaster set. These can include narrow, vertical windows or simple moldings. Intricate door mantels will add interest to the space between the pilasters and pediment. Finally, paint the front door a vibrant color to make it really stand out from the other homes on your street. 2. Your Own Historic Treasure Many treasured architectural styles feature distinctive entryways. Think Victorian, Colonial, Federal or even Craftsman styles as examples. 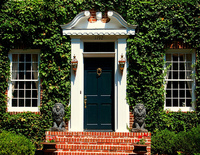 While some of these overall styles may not be extremely ornate or elaborate, the front doors are always a focal point. Even if your home is more on the modern side, you can create a similar look by adding a touch of vintage glam with pediments, pilasters and mantels. 3. Spruce Up a Plain Jane Door Some homes just don’t have much in the way of a grand entrance, but don’t fret. Designer door products like MASTIC entry doors offer architectural details that can add a few points to your home’s curb appeal. Intricate pediments can serve as an exquisite topper for any door, and pilasters frame your door beautifully. 4. Form Meets Function While it may not be your home’s primary entry way, the garage doors play significantly into your home’s overall curb appeal. Why not make these utilitarian doors more aesthetically pleasing? It’s easy to do when you incorporate architectural details like pediments, pilasters and mantels. By installing these elements on your garage doors, you will have significantly changed the appearance of your home for the better while retaining the functional use of the garage doors. When it comes to adding character and life to your home exterior, a little bit goes a long way. Start with the parts of your house that are often the focal point, such as your doors and your windows. It need not be complicated, just a little splash of color or a few accents here or there can bring out a whole new different look. Entry doors are vitally important to your home’s curb appeal and personality. By incorporating details like pediments, pilasters and mantels into the design, you’ll have created a one-of-a-kind entry way your guests will love to walk through.